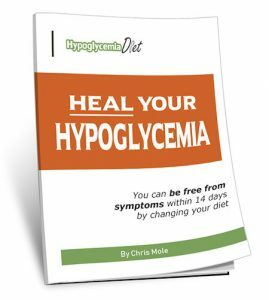 I had an interesting question today from a reader of my book, about the role of the adrenal glands in hypoglycemia. “I just finished reading your excellent book. One factor which you allude to in the book is the fatigued adrenal glands. I feel this may be the missing link for my full recovery. What is your position on this? I note that you include coffee and tea in your own diet. “All the websites I have looked at say that it is difficult if not impossible for a vegetarian to cure fatigued adrenals and say that one requires a host of vitamins including magnesium, calcium, b5, siberian ginseng etc etc. I also note that you do not advocate dietary supplements. Regarding fatigued adrenal glands, yes it is a risk if you are vegetarian. The main foods that help to build up the adrenals are meat, poultry, fish, eggs, butter and salt. So you should at least eat eggs, butter and salt but even better to eat meat, poultry and fish as well. There are two main glands that affect your energy levels – adrenals and thyroid. The adrenals are stimulated by the foods I mentioned above. They give strong, steady energy over a long period of time. The thyroid is stimulated mainly be carbohydrates, sugars, fruit, juices etc. It gives short bursts of energy. So if you eat a lot of those thyroid stimulating foods (which vegetarians tend to do) you will be relying on your thyroid for quick bursts of energy all the time, which is why you need to keep on eating all the time. If you eat adrenal stimulating foods like meat, eggs, butter, salt etc you will have much steadier energy through the day. I don’t recommend supplements because it’s better to get everything from food. If you have a specific deficiency, then take a supplement. But otherwise it’s not necessary. It’s very difficult to get unbiased advice about supplements. Pretty much everything written about supplements is by someone with a vested interest in selling them. Even the nutritionists and naturopaths will generally make money out of selling or recommending supplements, so of course they will recommend them. Great results from research in Norway into the use of Rituximab in clinical trials to treat ME/CFS. Lets get the NZ government/health system/Social Welfare system interested. I Agree with your information about the adrenal glands in hypoglycemia. 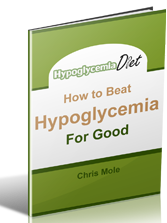 Chris I wrote some articles about hypoglycemia you might be interested in. In my opinion the worst part of hypoglycemia is constant adrenaline release which is induced by low blood glucose. Constant excess of adrenaline causes anxiety disorders and also Autonomic Nervous System dysfunction. Inflamed small intestine (endotoxins) is a big problem because inflammation causes insulin resistance and insulin resistance leads to hypoglycemia. Most people do not realize that insulin resistance is actually type 2 diabetes. It is just a matter of how much insulin resistance there is to be diagnosed as type 2 diabetic. It is very important to supplement missing B-vitamins. Especially biotin is often underrated and a lot of B-complex supplements has no biotin or not enough. Magnesium is a critical mineral and one should be sure to have an adequate intake of it. Chromium is popular and effective as well.